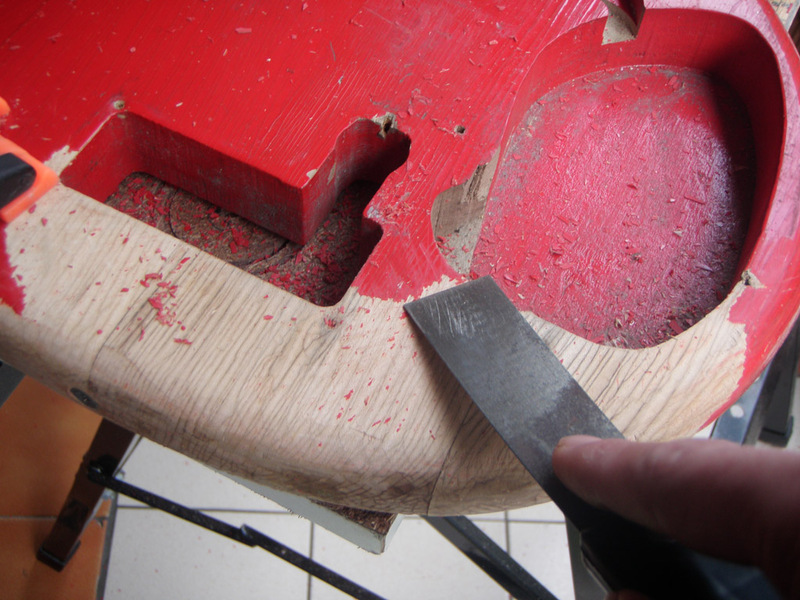 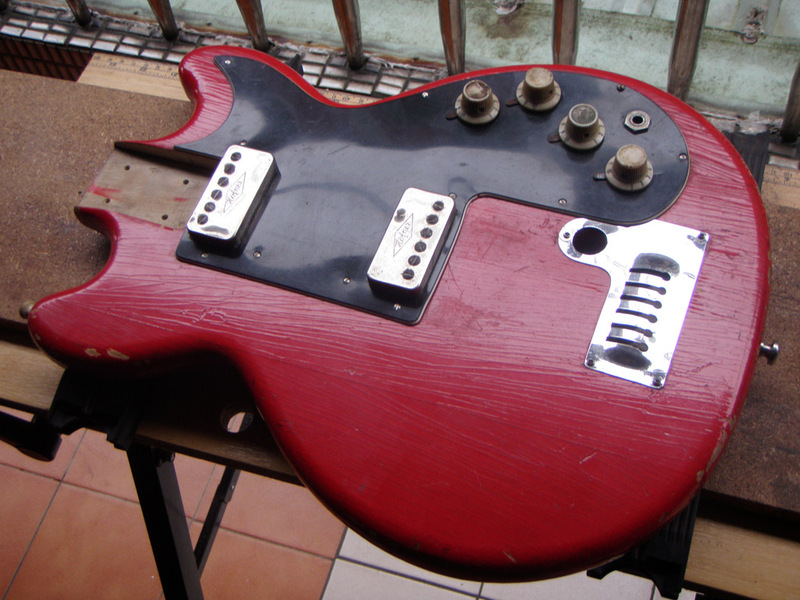 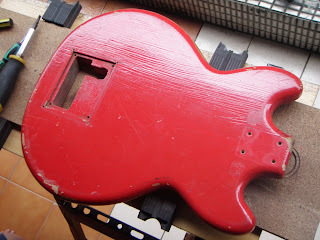 In the continuing sage of our vintage Hofner Colorama II restoration project, today we will be stripping and scraping the paint off the guitar body itself. 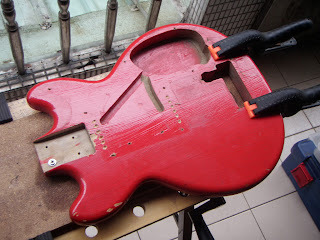 Stripping a vintage Hofner Colorama (by which I mean stripping it of its components, not the paint, though we’ll be doing that too) is extremely easy. 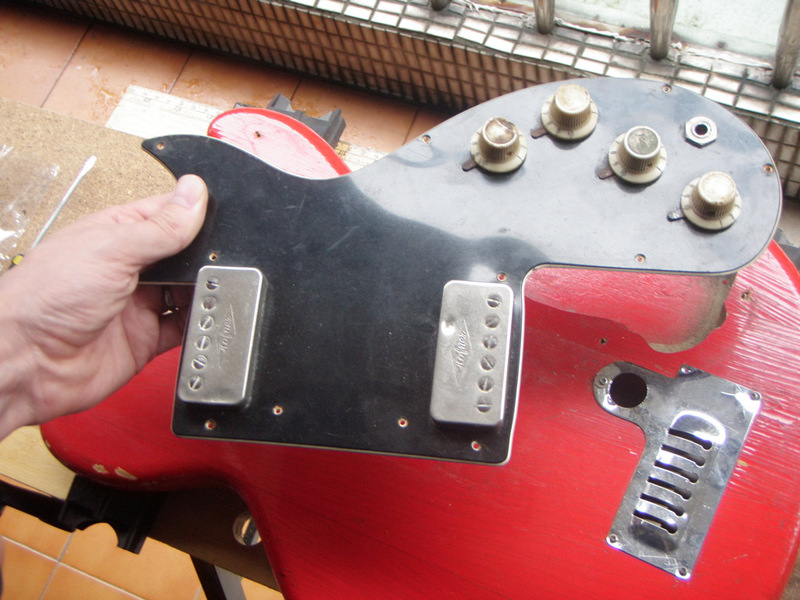 First we take out all the scratchplate/pickguard screws, allowing us to lift the whole thing out, including the output jack, in one go. 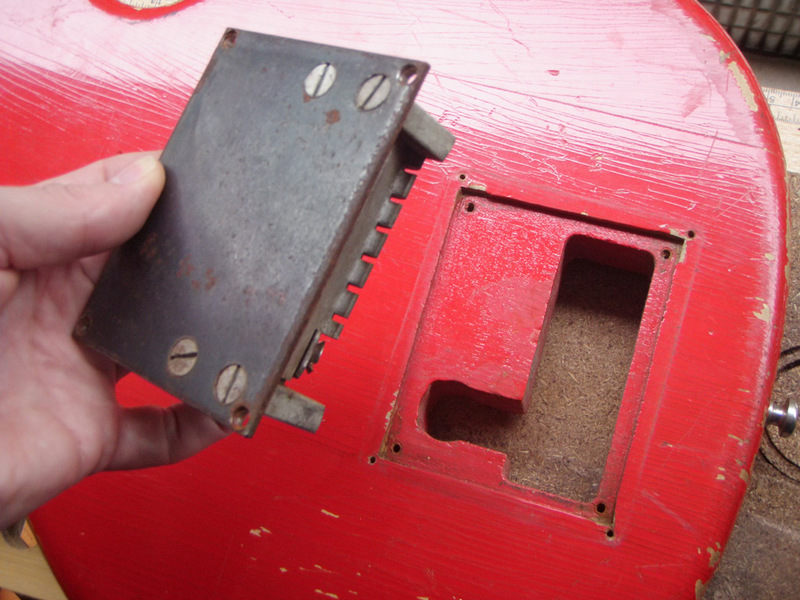 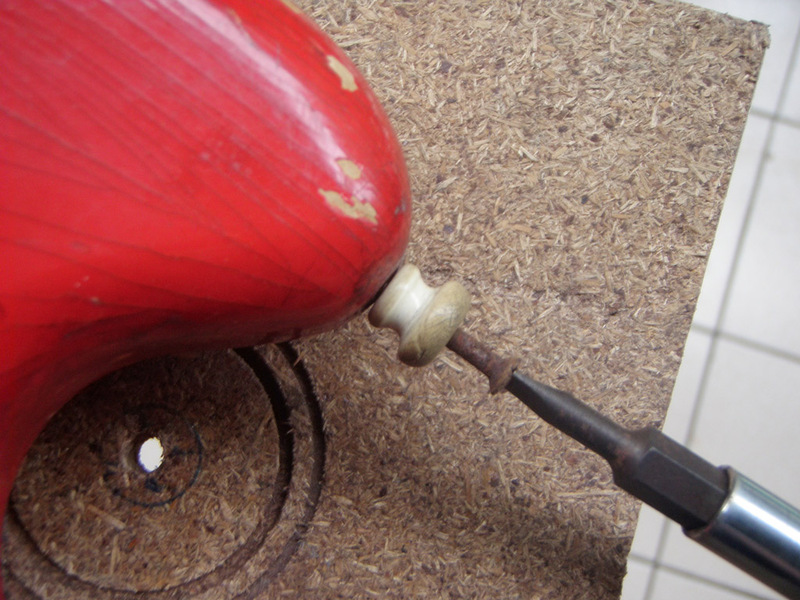 The vibrato itself is secured with four screws in its corners, so we remove these too. 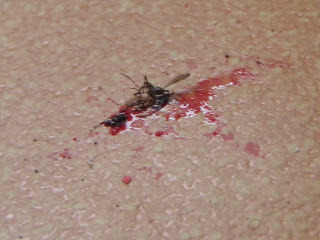 We are now left with the following. We will deal with these (and other) issues in the next installment. 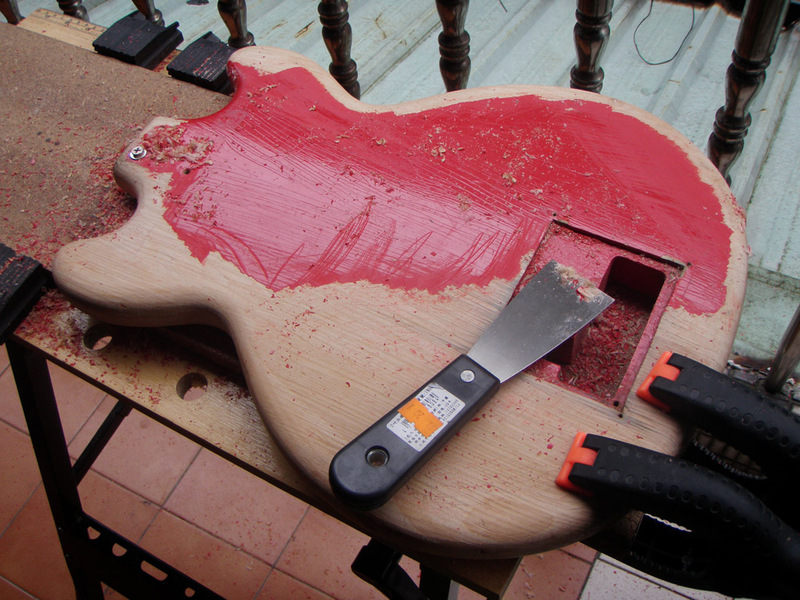 In the meantime, let's scrape some paint off. 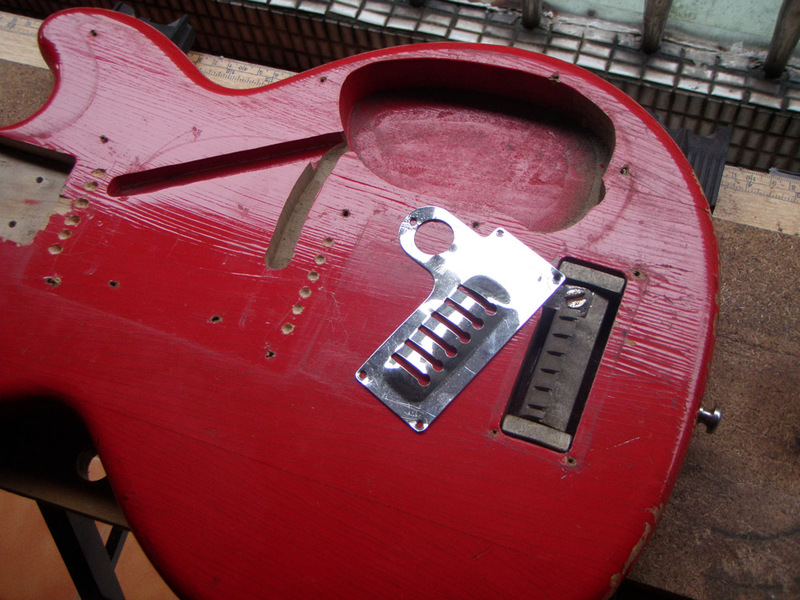 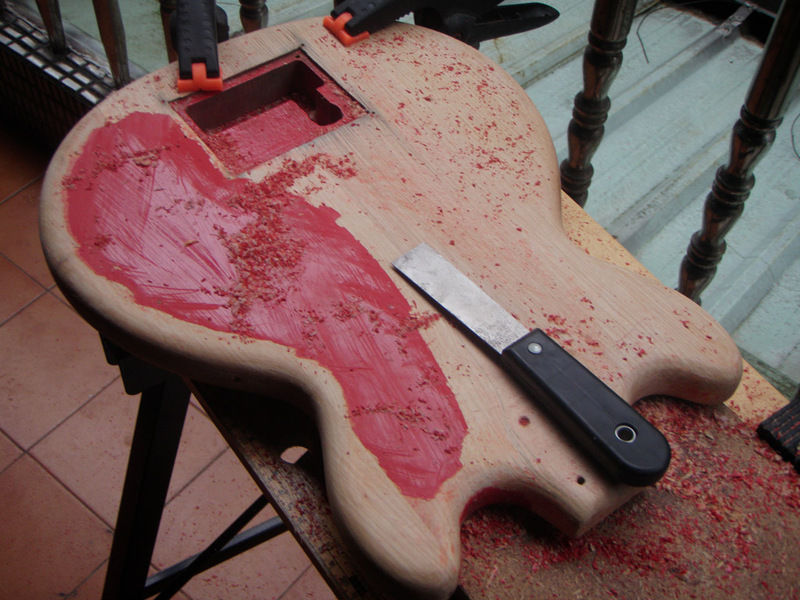 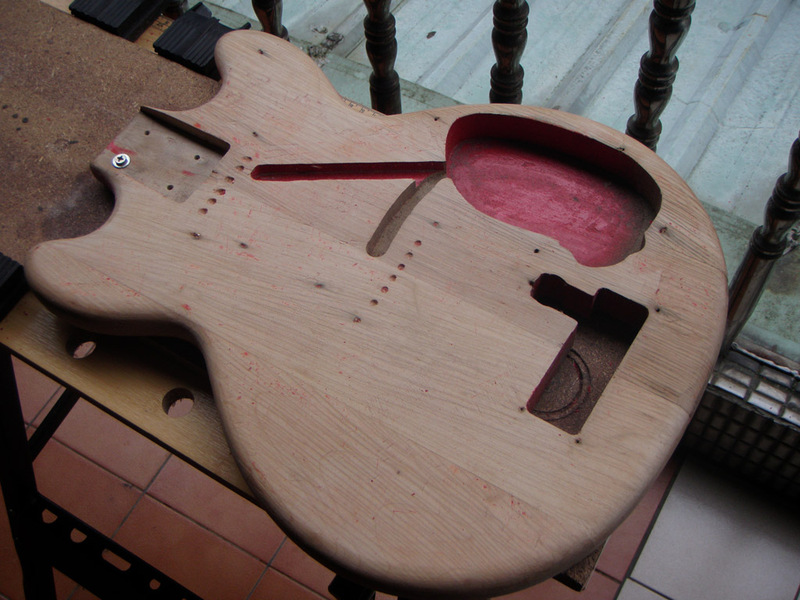 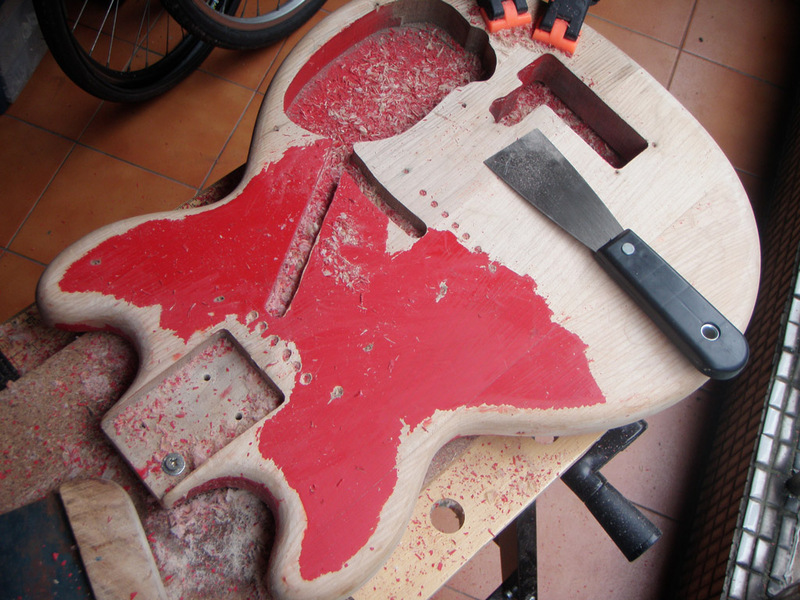 As with the guitar neck, we need to secure the body before we start scraping the paint off. 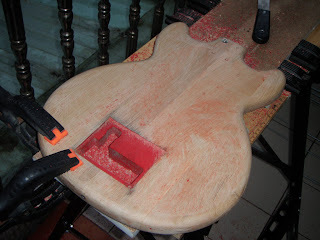 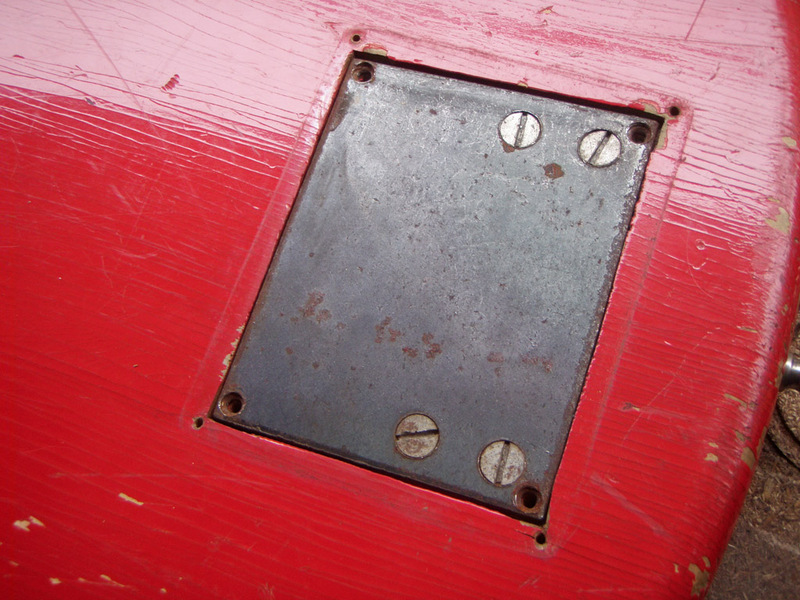 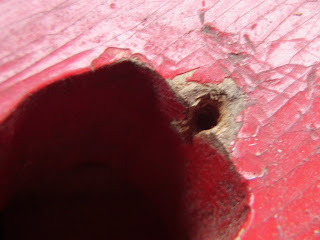 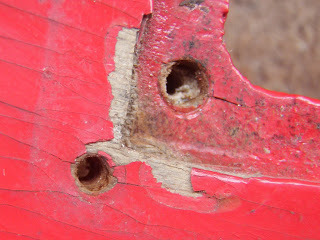 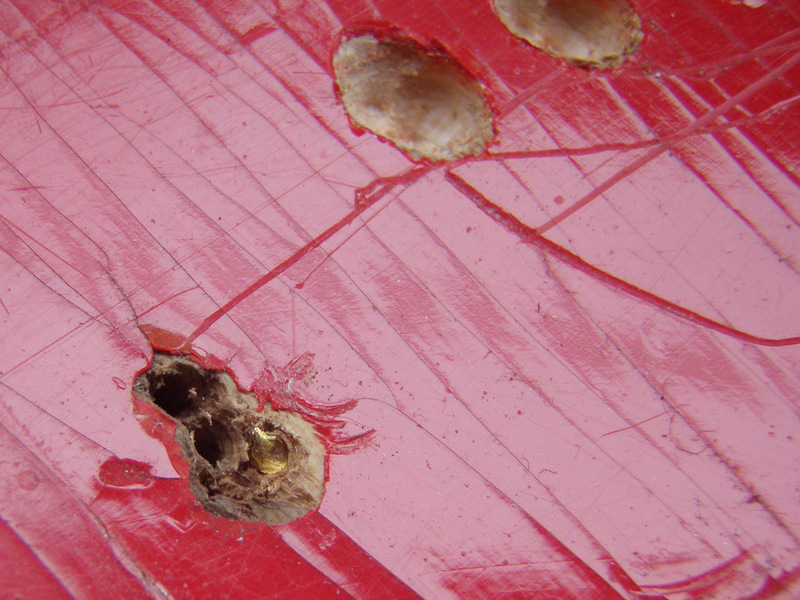 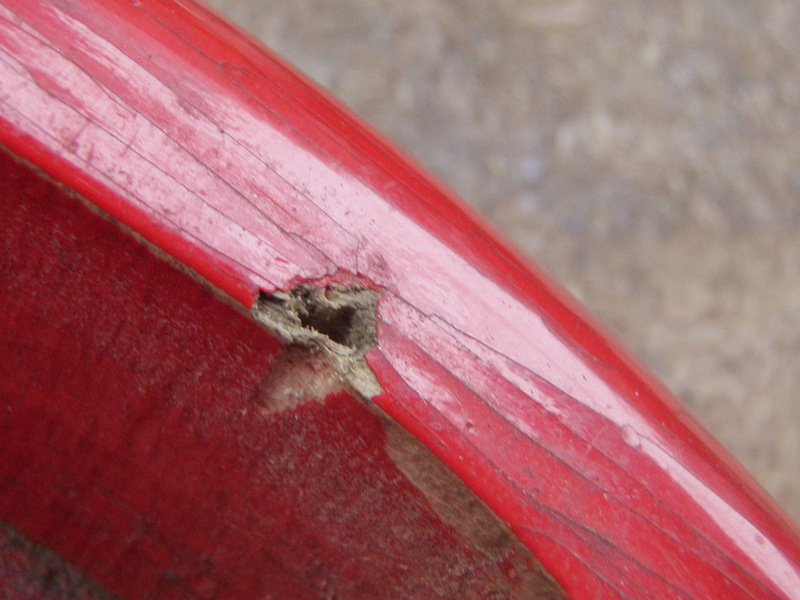 In this case we have put one screw through one of the neck pocket holes and secured it to a piece of wood. At the other end of the guitar we have just used two sprung grips, as shown here. 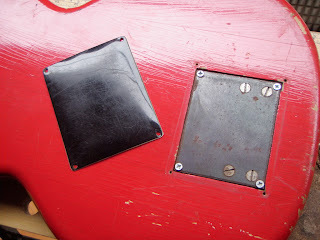 These provide more than enough grip, without damaging the guitar. 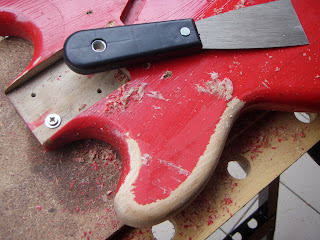 Then begins the slow process of scraping the paint off with a paint scraper. 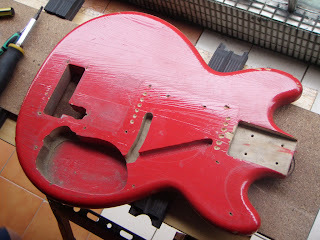 Several hours, band-aids, mosquito bites and swear words later, and we’ve finished scraping the paint off the guitar.